Elfin Patch: January BOM's Finished..
and as you may know if you are a regular reader of this blog, I am apt to go off (frequently) on a tangent at the drop of a hat. 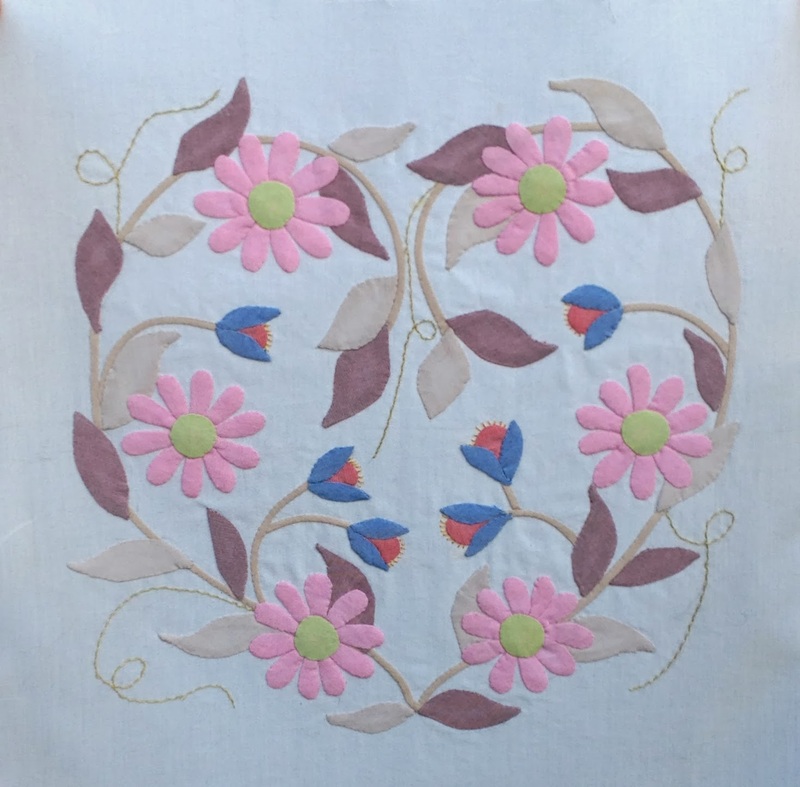 designed by the lovely Deborah Kemball, using fabrics by Oakshott and they are absolutly gorgeous fabrics to use. 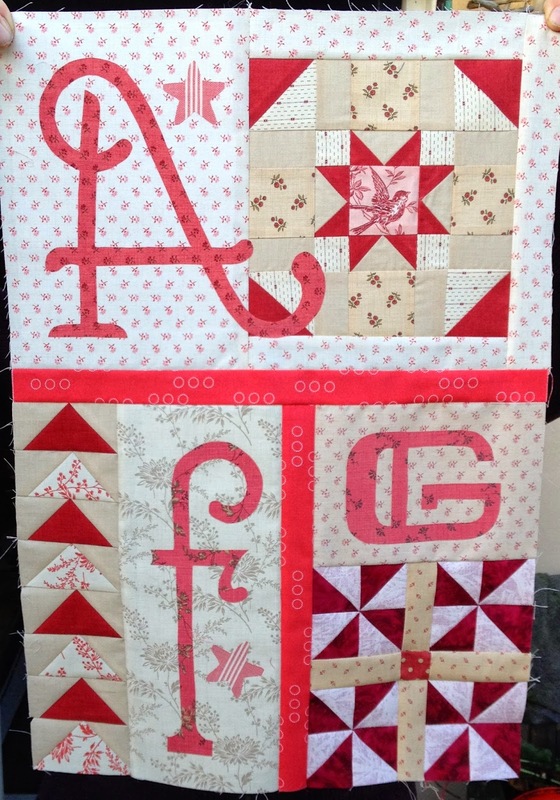 Secondly the 2014 TQS BOM designed by Janet Stone called A to Z for Ewe and Me using only fabrics from my stash, (some of which aren't so gorgeous). No resolutions have been made for 2014, just a few hopes i.e. I just might be able to finish just one of my UFO's, and I shop out of my stash if I possibly can. The Elfin Way quilt is residing on the dining room table. It is basted and all ready for quilting lines to be drawn. At the moment, there is a little indecision going on, hand or machine quilting? I will have to decide soon as the dining room table is out of commission at the moment. We are having a lovely sunny day here in this part of the UK, so I might just go and do a little tidying up in the garden..